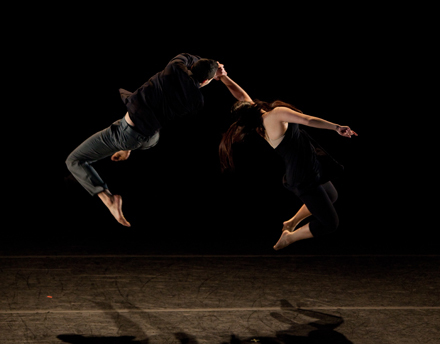 On Friday, April 29 and Saturday, April 30, at 8:00 p.m., the Arts program at Eugene Lang College will present their annual spring dance production at the Ailey Citigroup Theater, 405 West 55th Street (at Ninth Avenue). The program, performed by students of Eugene Lang College, will feature premieres of original dance works created by faculty members Take Ueyama, Eric Bradley, Karla Wolfangle and Luciana Achugar, as well as student choreographed works. The admission is $5, and free to all students and New School faculty, staff, and alumni with a valid ID. A reception will follow the Saturday performance.